I hadn't meant to stick two Dendrobiums so close together (last one was only 12 days ago), but they look so different from one another that I feel like it shouldn't count. The usual form of Den. bracteosum is apparently lavender to pink; some of the more photos that emerge from an image search (e.g.) remind me a bit of crocus, especially the images that lean more to the lavender side of things. I'm less impressed with the white form, but it's possible that that's due to my terrible photo, rather than the plant's inherent inferiority. 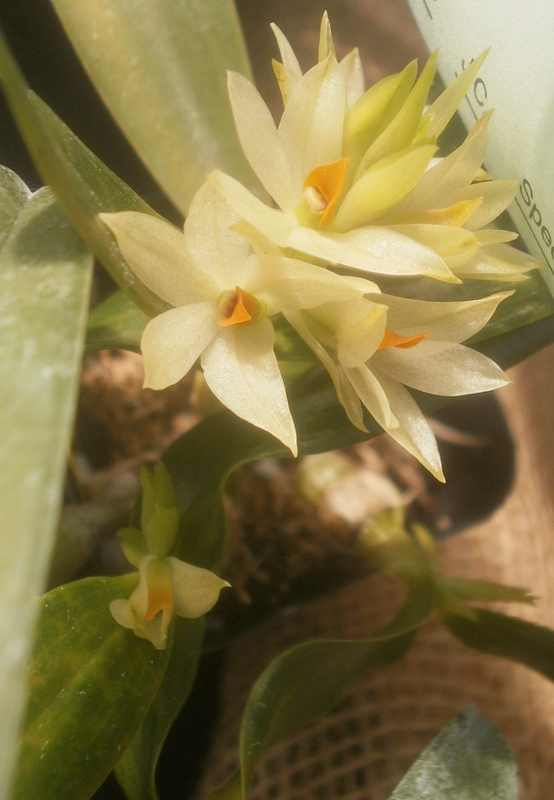 Dendrobium bracteosum has a ridiculously long list of synonyms, according to Wikipedia, and I'm not sure what the hell was happening: after being described once in 1886 and christened D. bracteosum, it appears to have been re-named every few years (1894, 1899, 1901, 1910, 1912, 1922, 1923), then in 1983 somebody got all excited and named it four times. 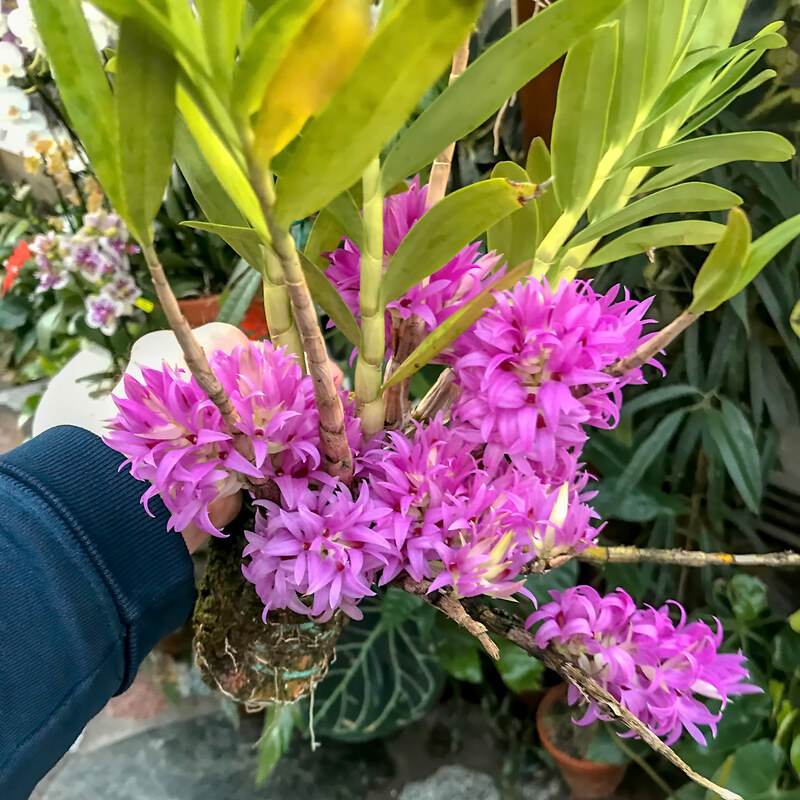 Since the same surname is appended to all four of the 1983 botanical names, and that person placed all four in the same genus (Pedilonum), I'm guessing that somebody just really, really wanted to create a new genus from within Dendrobium, but it doesn't appear to have worked; all Pedilonums are still officially Dendrobium as far as I can tell. Curious about why it got so many names, so far apart from one another, but for all I know, that could just be how plant taxonomy worked in the late 19th and early 20th centuries. Anthurium no. 0537 "Bridgette of Madison County"